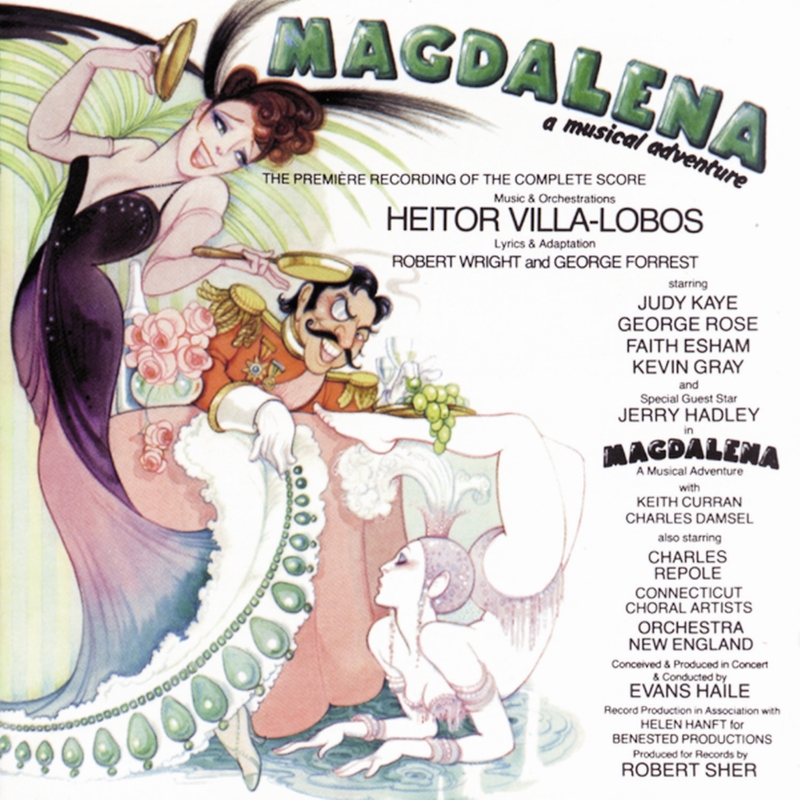 For their comeback to Broadway, following the enormous success of Song of Norway, which had opened to rave reviews a couple of years before, Robert Wright and George Forrest teamed with composer Heitor Villa-Lobos to work on Magdalena, a florid, exotic and unconventional musical which opened at the Ziegfeld Theatre on September 20, 1948. A novelty, at least by Broadway standards, it starred John Raitt as a Colombian bus-driver, and Dorothy Sarnoff as his fiancée intent on having him convert to Catholicism. Almost instantly, the new show elicited strong reactions from two camps – those who praised its original free-form music, its lush decors, its unconventional story, and everything else about it, and the others who hated all three and everything else about it. Their opinion prevailed, and the show closed after playing 88 performances. It might have become another footnote in the long list of interesting Broadway failures, but fate decided otherwise. In the 1970s, in an album devoted to the music of the composer, Andre Kostelanetz spent an entire side on a suite of songs from the show; thus piquing the curiosity of many. In 1990, a concert version further attracted modern audiences to this unusual musical. This recording, also made in 1990, is an extension of the concert version, and brings together Judy Kaye, Jerry Hadley, George Rose and Faith Esham as the main protagonists for a fresher look at this all-but-forgotten (?) work.